AMAC Aerospace decided to position a hangar at Milas-Bodrum airport because we saw a gap in the market. Having established a base already at Atatürk International Airport, we assessed the aircraft movements at Bodrum Airport and found that there was a distinct requirement to have a hangar that can carry our MRO services. To date, AMAC Aerospace are the first to use a mixed business model for this hangar facility where during the winter months, the hangar carries out commercial line and base maintenance. During the summer months, the MRO services flips over to VIP business maintenance. Our hangar can perform a multitude of services that your aircraft require. 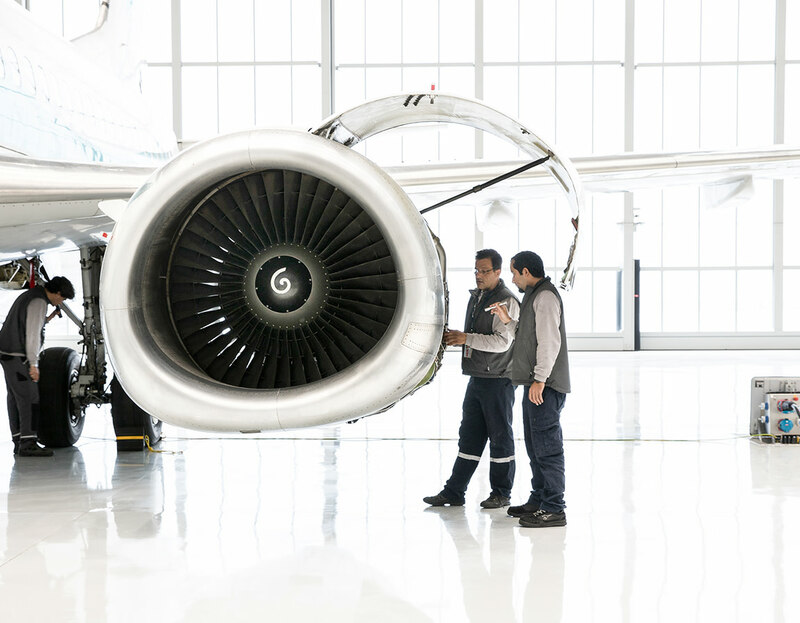 With established relationships with regard to the OEM’s (Original Equipment Manufacturer) such as Boeing and Airbus for the Business Aviation world, we are confident to bring the qualities of engineering to southern Turkey with respect to Line Maintenance. Working with the market leaders for engines, we also have strong relationships with the OEM’s of engines, an essential asset that for all aircraft that require mandatory maintenance for extended reliability. 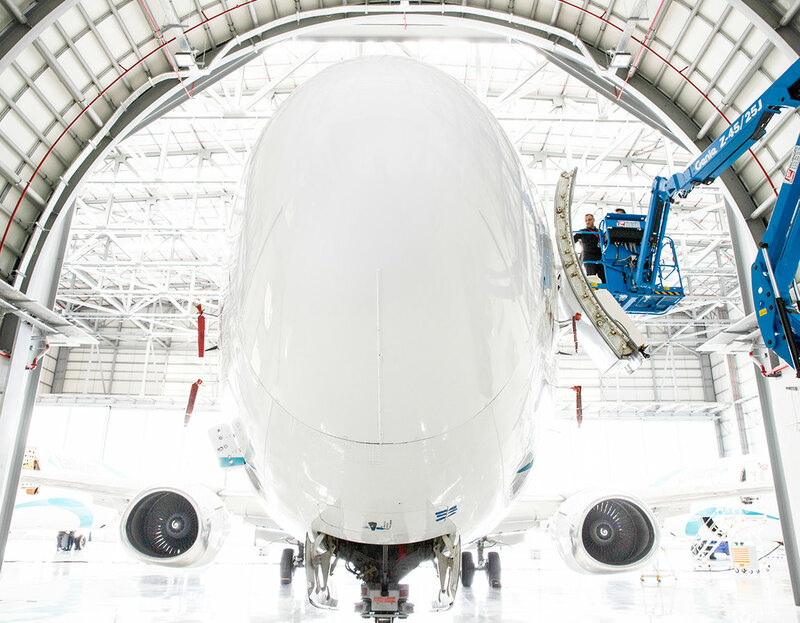 With regard to the provision of 24/7 MRO support, size really does matter and we can be counted on, where no other organisation has the depth of expertise across all Airbus and Boeing products that this collective capacity can provide. Mobile maintenance service with highly qualified engineer and mechanic teams are always available depending on the away-mission type. When called on, our engineers/mechanics are able to repair damage to engines or airframe, anywhere in the world within a matter of hours. A start up team of approximately 35 skilled engineers and supporting administrative staff welcomed AMAC’s launch customer TAILWIND Airlines during Q4 2017. The QA department of AMAC’s subsidiary in Istanbul as well as AMAC’s headquarters in Basel, Switzerland, are working closely with the Turkish Authorities and EASA for approvals to work on a variety of aircraft that are typical in Commercial operation. With the support of our sister company – Gamit Ltd, based in the UK, AMAC Aerospace is able to offer spare parts support that encompass several hundred thousand parts. Whether clients want to request a quote based upon our inventory and/or prefer to operate with their own stock and material management and logistics, AMAC is flexible to offer an array of spare part options with competitive rates. 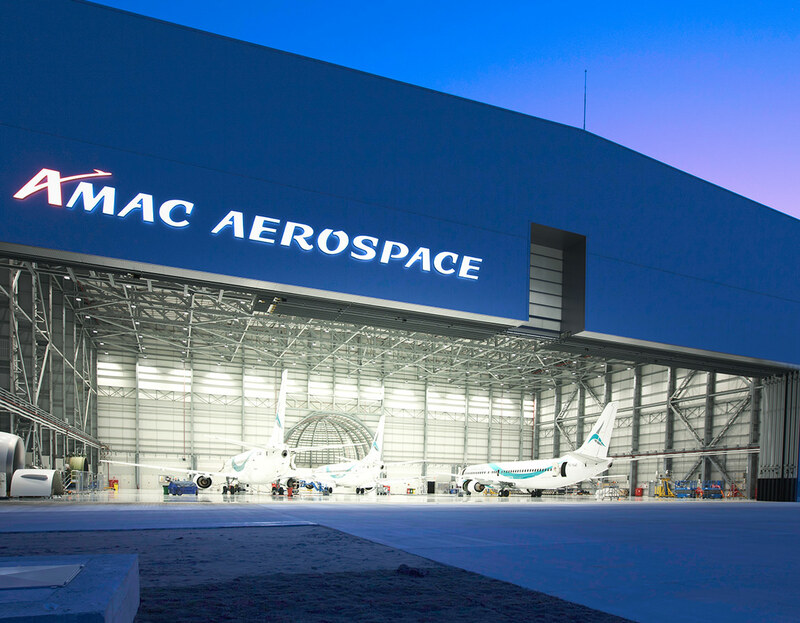 AMAC’s newest state-of-the-art hangar in Bodrum comprises of 4’626m2 of shop floor including, Sheet Metal Shop/ Paint /Interior Shop, Cleaning Shop, Avionic & Electrical Shop, Wheel Shop & NDT, Tool Stores, Shipping & Receiving, Maintenance Management offices, Purchasing & Logistics, Quality Assurance, Finance & HR offices, Maintenance planning/Engineering and supporting Administration offices. 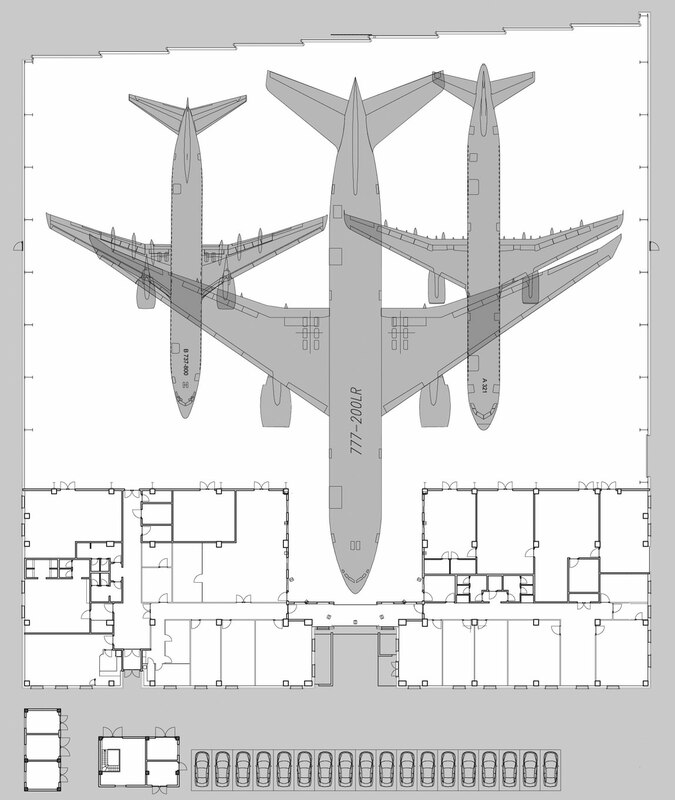 AMAC Bodrum hangar shall be able to accommodate one wide body, for example a Boeing B777-200 or Airbus A330/A340 or two Boeing B737’s and/or Airbus A32F’s, wing tip to wing tip.